If you've been searching for the very best in executive air travel solutions to or from Sun Valley, Idaho, Paramount Business Jets is the optimal business jet provider for you. We provide our clients with maximum flexibility with an enormous assortment of 15,000 of the world's most advanced business jet aircraft. Beyond the virtually limitless degree of choice we provide in our aircraft, Sun Valley is also a very convenient travel destination with a wide variety of potential airport options. Accordingly, there are 10 airports within a 50 mile radius of the city, which are all accessible by private business jets. The most convenient of these airports in relation to Sun Valley are the Friedman Memorial Airport (SUN), the Sluder Airstrip Airport (ID16), the Twin Bridges Airport (U61), and the Star 'S' Ranch Airport (ID56), each of which are only 25 miles or less from downtown Sun Valley. 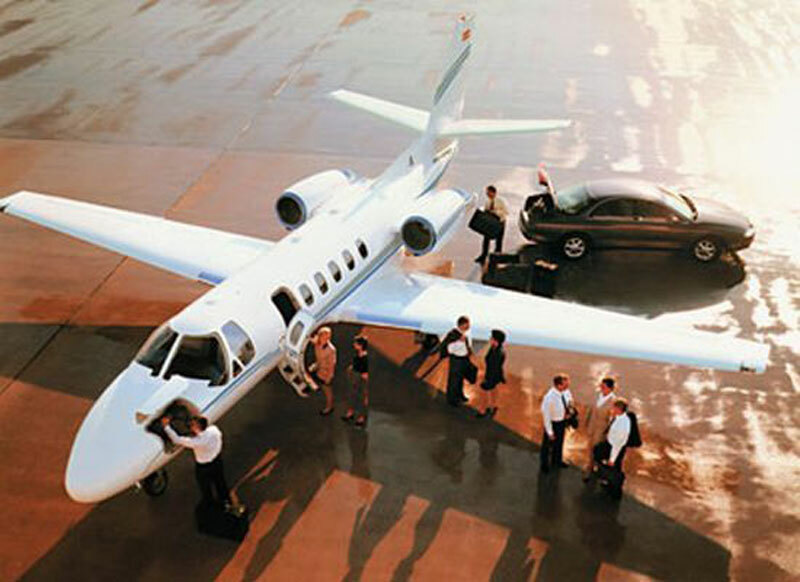 Popular aircraft in the area include the Learjet 35A and Citation V (light jets), the Citation VII, Learjet 60, and Gulfstream G100 (midsize jets), and the Gulfstream III, Challenger 604, and Falcon 2000 (large jets). For private air charter inquiries and bookings, please contact us via phone at 877-727-2538 or email at charter@paramountbusinessjets.com. Sun Valley is a mountain resort city in South Central Idaho, adjacent to the city of Ketchum. Sun Valley is known as a glamorous playground of many celebrities, film stars, talented artists, and international jet-setters. In recent decades it has sought to accommodate young families who enjoy the outdoors. Sun Valley boats two well-known ski and ride mountains - Baldy Mountain and Dollar Mountain perfectly accompanied with day-lodge facilities for the tourists. Best known for skiing, Sun Valley and the surrounding area also provide a multitude of other attractions including ice skating, hiking, river rafting, trail riding, camping, first-class golf courses, and nature activities. There are plenty things to explore outside of the resorts. Sun Valley hosts a variety of events and festivals throughout the year including the Sun Valley Music Festival, the Sun Valley Nordic Festival, the Ernest Hemingway Festival, the Sun Valley Arts and Crafts Festival, and the Sun Valley Summer Symphony.